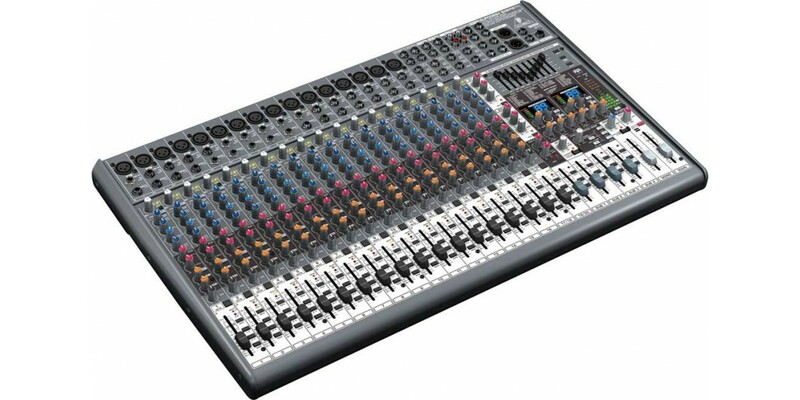 The Behringer SX2442FX Analog Mixer is a four bus mixer that features XENYX microphone preamps. Mono input channels feature three-band, semi-parametric mid-range EQ with Neo-classic British response. Stereo input channels provide four band equalization. Each input has four aux sends; with two sends switchable between pre/post fader, for a flexible mix of monitor and effects applications. External signal processing racks can be largely eliminated, thanks to the SX Series' two integrated effects processors and stereo 9-band graphic EQ. One-hundred 24-bit / 96kHz studio-quality effects presets can be called-up and assigned to one or both internal effects buses. Main or Monitor output EQ is set and fine-tuned with the intuitive FBQ Feedback Detection display. When external processing is required, the SX Series provides extensive insert patch-points for input channels and main outputs. 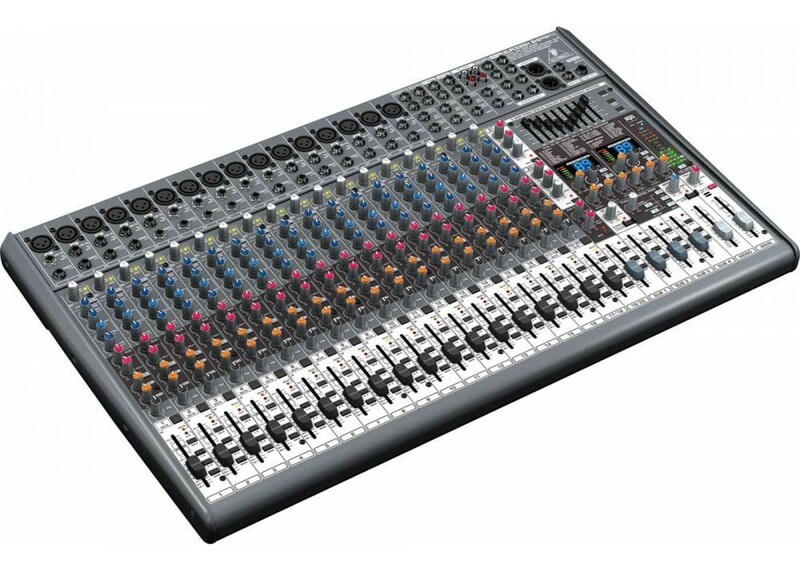 The Master section offers features such as multiple aux and stereo returns, switchable SIP / PFL monitoring, Talkback, metering and more. An internal auto-ranging power supply (100 - 240V), gold-plated XLR output connectors and rugged steel construction ensure that the SX Series consoles will travel anywhere.